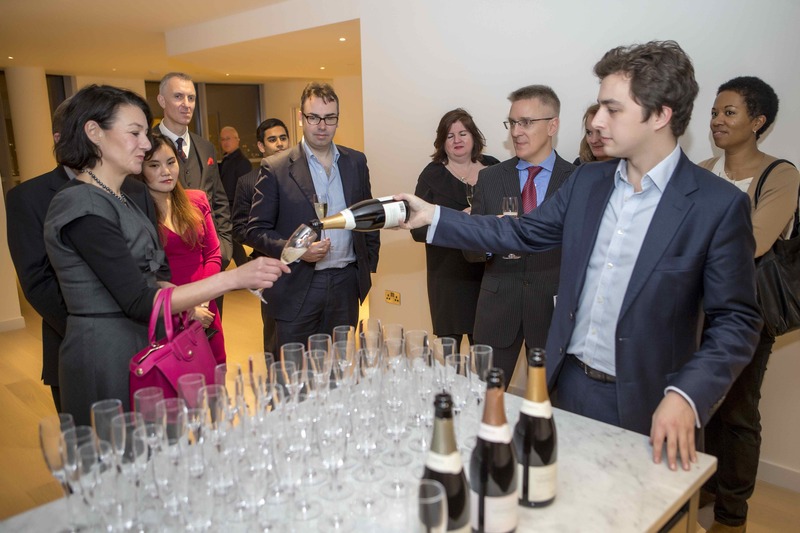 Ballymore Group has marked the launch of its Top Three Floors at Providence Tower with a VIP event in association with British sparkling wine brand Nyetimber – plus media partners Square Mile, Luxuria Lifestyle and Professional Player. Guests were treated to a series of wine tastings by Nyetimber’s brand ambassador, a viewing of exclusive artworks by artists Steven Quinn and Mick Dean, as well as being given tours of the stunning new properties available on the Top Three floors. Each commanding unrivalled views of the London skyline, these eight homes – four of which are duplexes – are the final element of Ballymore’s New Providence Wharf development. Prices start at £1,475,000, with each spacious home comprising of two bedrooms, up to 2100sq.ft of living space and up to 115sq.ft of external terrace space. As with all Ballymore developments, these homes are designed with quality materials offering luxury living. They are elegant and stylish with open plan living and floor to ceiling windows making the most of the panoramic views spanning across Canary Wharf, the City and the River Thames. Their location in New Providence Wharf – Ballymore’s well-established premium riverfront precinct – means a wealth of amenities are within easy reach. The development includes a Radisson Blu Edwardian hotel, the Providence Tower Sky Lounge with further breath-taking views of the city, an on-site fully equipped fitness centre and luxury spa with 25m lap pool, sauna and steam room. New Providence Tower residents can travel to the City in just 12 minutes via Blackwall DLR station, which is just a short walk away. They are also close to London City Airport and upon Crossrail’s completion, Heathrow Airport will be within a comfortable commuting distance. Ballymore’s Sales Director, Jenny Steen said, “We are thrilled to have hosted this spectacular event with Nyetimber and each of our media partners. It was an honour to show guests around the properties which are the last element of New Providence Wharf. We look forward to welcoming the final residents to complete the existing community”.